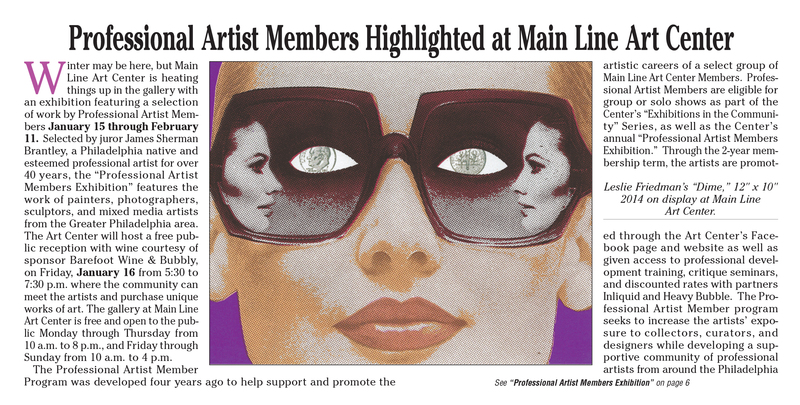 The City Suburban News ran a little article about the Professional Artist Member Exhibition at the Main Line Art Center. With a nice big colored featured image on the front page, Dime stood out. 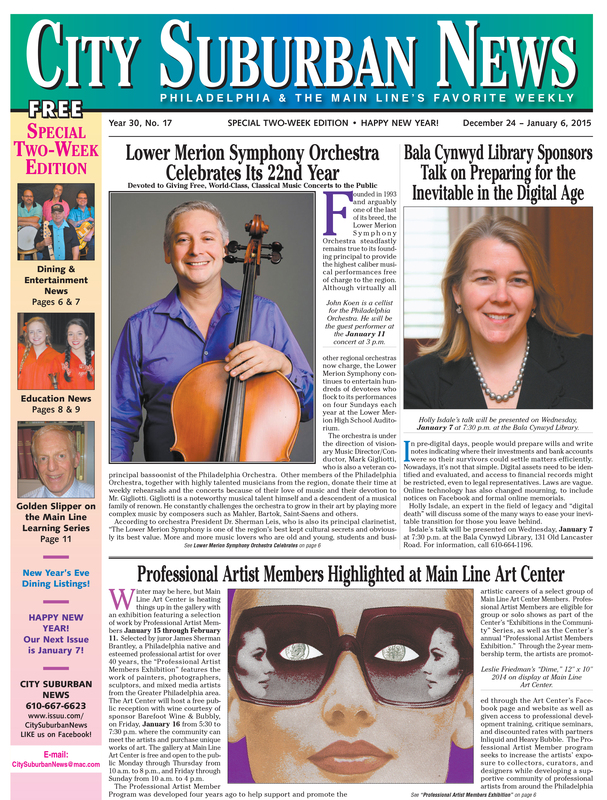 To read the article, look at the JPEG below or click the link to the PDF of the entire issue. The article starts at the bottom of the front page and continues on page six.